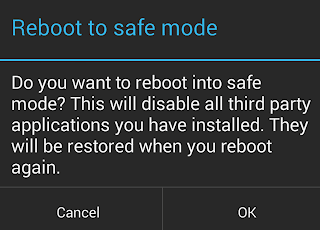 Android has a restart in Safe Mode option and not many are aware of it. This is a troubleshooting mode in Android which restarts the phone while disabling all new apps and widgets. Only the apps that came with your device at the time of purchase are accessible. Press the power button in your phone/tablet for a while to bring up the Android shut down menu. Long tap or press on the "Power off" option, don't release your finger. You will be presented with the "Reboot to safe mode" option. Hit "OK" and you will restart your Android device in safe mode. After booting in this diagnostic mode, your phone will display the message "Safe Mode" on the screen. This safe mode is equivalent to your PC's safe mode option available at the advanced boot options menu. Consider it like you've selected the safe mode with networking option. When you start in safe mode, you will see that all the widgets that you've placed on your home screen will not be there. You'll also notice that your app drawer will only display the apps that came with your device. All the new apps that you've installed will not be shown. But their shortcuts will remain on the home screen. The purpose of this option is to uninstall the apps that have been causing problems in your phone. 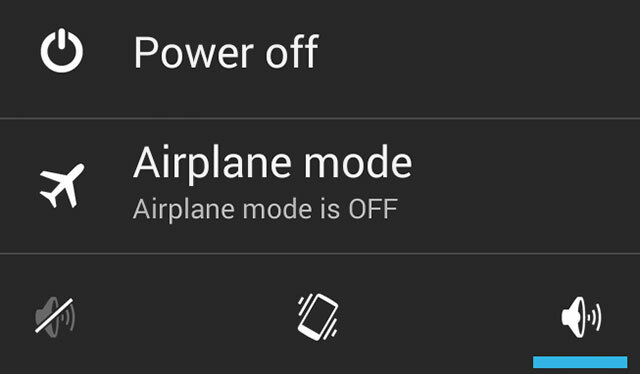 If your phone gets stuck or if it doesn't work while booting in normal mode try this mode. Then your best bet is to uninstall suspicious apps that are causing problems. If the phone problems showed up recently, then your aim must be to remove the recent applications that you've installed. This troubleshooting option can come into great use if you can identify the app or widget that is causing the problem. After you have uninstalled some apps, you will want to turn the safe mode off. To turn it off, just restart your phone or tablet. After restarting, you will notice that all your apps will be back in the app drawer. They will function as normal. The widgets from the home screen might still be missing and you can place them back manually.